Allah and the Holy Prophet (PBUH) have advised Muslims to spend their time among people who value what they themselves value and people who believe what they believe. For Muslims, these people are Islamic minded people. Basically, Allah and His Messenger have advised the Muslim Ummah to spend whatever time they spend with others among Islamic minded people. Muslims should spend time with Islamic minded people because they can not only learn a lot from them but they can also share their opinions and their own hypotheses with them. When a person wants to talk to another person, they prefer talking to someone who sports the same mentality as they themselves do and for the typical Muslim, an Islamic minded person is someone who sports the same mentality as them. Why can’t Muslims today spend time with Islamic minded people? The sole reason why the Muslims of today can’t spend time with Islamic minded people is their busy schedule. Like all of the other people living in the current era, Muslims maintain an extremely complex and busy schedule which hardly allows them enough spare time to breathe. The lives of most Muslims who have embraced modernization and have adopted the way of life which almost the entire world has adopted are simply hectic, which is the reason why Muslims today can’t spend time with Islamic minded people and, day after day, wonder how to save time so that they can spend time with Islamic minded people. How to save time to spend it with Islamic minded people? Even though they sport an extremely busy schedule, most Muslims still fall victim to laziness, which is the reason why the Muslims who should have spare time regardless of how busy their schedule is do not have any. For all those wondering how to save time so that they can spend the time they save with Islamic minded people, not giving in to laziness and constantly fighting against it can help them reach their goal. Since making an error in their work will lead to them having to spend a considerable amount of time trying to fix the error, a person should make sure that the work they do is completely free of any errors. 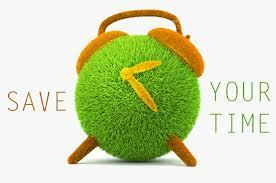 A person can also quite effectively save time by formulating and following a schedule. However, a person must remember that, if they want to actually save time, they need to follow the schedule they formulate to every second. Multitasking, which is the art of doing two or more things at once, is a talent which is buried deep inside the typical human. If a person manages to awaken this talent and master it to the point where they can use it effortlessly, they will definitely be able to save a considerable amount of time which they can then spend with Islamic minded people. How do you think a person can save their time so that they can spend it with Islamic minded people?